Florida Georgia Line “Cruise” remix with Nelly coming to iTunes April 2! 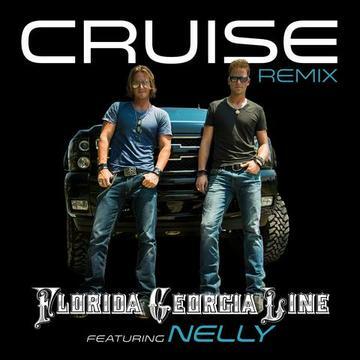 Nashville, TN (March 21, 2013) – After hinting for weeks, Republic Nashville’s Florida Georgia Line have exclusively announced, via their social networks, that a “Cruise” (Remix Feat. Nelly) will be available on April 2. The breakout duo has caught the attention of several Superstars, including Taylor Swift, Keith Urban, and now, GRAMMY-winning Hip Hop artist Nelly. The sizzling collaboration will impact radio just in time for Spring and a taste of the new mix is subtly place in Nelly’s “Hey Porsche” video. Watch via http://vevo.ly/VfDGCr. “Nelly really brought a fresh, unique sound to ‘Cruise’ and we’re super excited for our fans to hear!” adds FGL’s Tyler Hubbard (Monroe, Georgia). With an ever-expanding fanbase, the remix is poised to follow the success of FGL’s Double Platinum, multi-week #1 smash “Cruise.” Their follow-up Country single, “Get Your Shine On,” has sold over 500,000 copies and is Top 15-and-climbing. Both songs are featured on their debut album HERE’S TO THE GOOD TIMES, which earned the highest debut album sales of 2012 for a new Country artist. FGL’s catchy tunes and energetic live show have garnered coveted slots on two major Country tours – Taylor Swift’s “THE RED TOUR” and Luke Bryan’s “DIRT ROAD DIARIES TOUR” – this year. Next week, the hot newcomers will open for Swift’s three-night, sold-out stint at the Prudential Center in Newark, NJ. On April 6 the ACM New Vocal Duo or Group of the Year will help kickoff the second year ofOutnumber Hunger, a national campaign that helps secure meals in local communities, with a special concert event, Outnumber Hunger Live!, broadcast on AXS TV. FGL is also nominated for ACM Vocal Duo of the Year and New Artist of the Year, which fans can vote on beginning March 25 via www.voteACM.com, leading up to the April 7 show on CBS at 8:00 PM ET / PT. For tour dates and more, visit FloridaGeorgiaLine.com.